Exercises for practising the use of ON/ IN/ AT. The present downloadable printable is a great resource for business/professional students, high school students and elementary school students at Elementary (A1) and Pre-intermediate (A2) level. 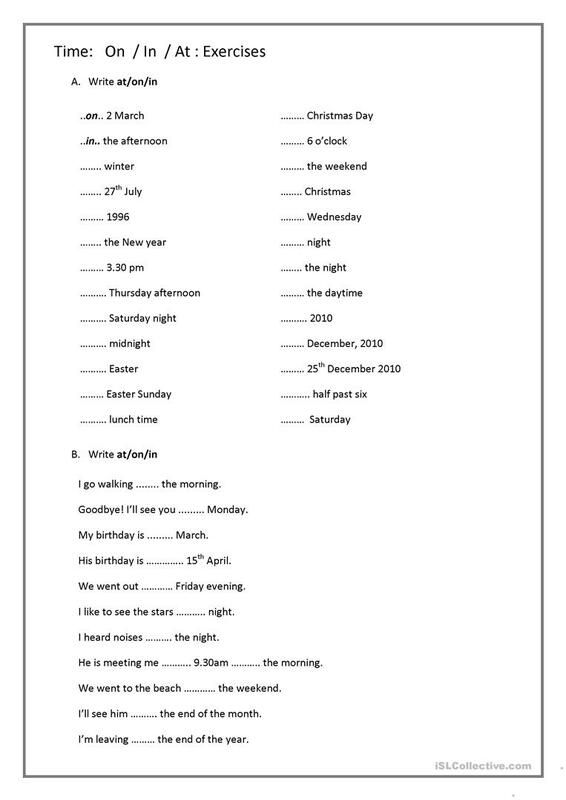 It is great for practising Prepositions and Prepositions of time in English, and is a valuable material for enhancing your pupils' Writing skills. 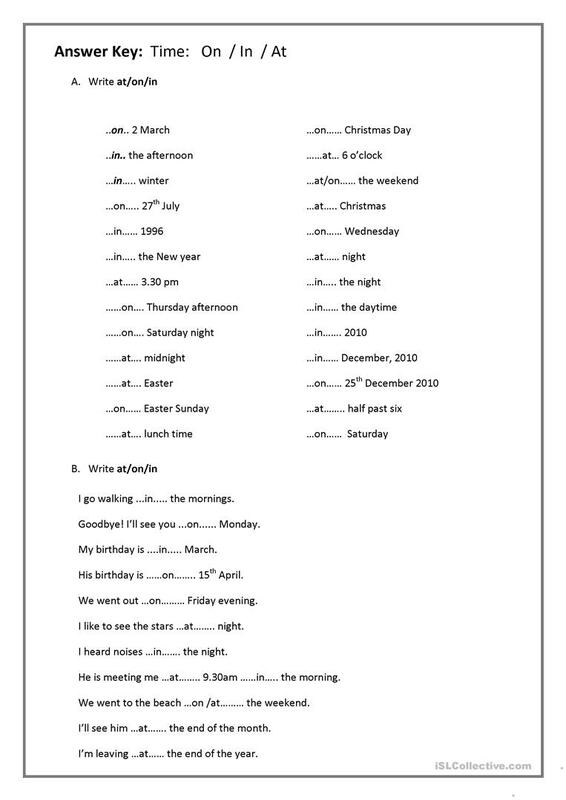 It is focused on the vocabulary topic of Time. The answers are provided, too.